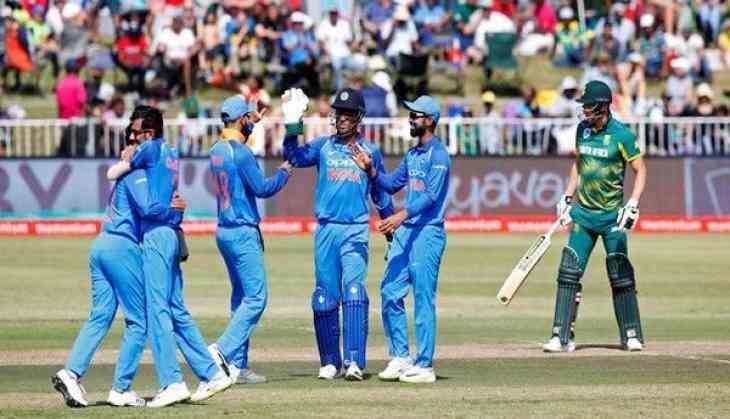 Indian skipper Virat Kohli have won the toss and elected to bowl first in second ODI agaisnt South Africa in Centurion. Indian captain Virat Kohli has not made any changes in the team. Team India has already made a 1-0 lead in the series. Once again the fans will expect that Captain Kohli will score runs with his bat. On the other hand, due to an injury in the finger of regular captain Faf du Plessis, Aiden Markram has been appointed captain of South Africa in the series being played against India. Cricket South Africa ignored Hashim Amla and David Miller for captaincy post and surprised everyone after handing over the command of the team to Markram, who had experienced only two ODIs. Markram will be South Africa's second youngest captain. He has earlier captained the Under-19 team and won the team in the World Cup played in 2014. India: Virat Kohli (Captain), Shikhar Dhawan, Rohit Sharma, Ajinkya Rahane, Shreyas Iyer, Manish Pandey, Dinesh Karthik, Kedar Jadhav, MS Dhoni (wicketkeeper), Hardik Pandya, Yuzvendra Chahal, Kuldeep Yadav, Axar Patel, Bhuvneshwar Kumar, Jasprit Bumrah, Mohammed Shami, Shardul Thakur. South Africa: Hashim Amla, Quinton de Kock (wicketkeeper), JP Duminy, Imran Tahir, Aiden (captain) Markram, David Miller, Morne Morkel, Chris Morris, Lungisani Ngidi, Andile Phehlukwayo, Kagiso Rabada, Tabraiz Shamsi, Khayelihle Zondo, Farhaan Behardien, Heinrich Klaasen.